We have some exciting news – we have added a new automatic vessel registration renewal filing service to our list of enhanced services! But it’s more than just a filing service – if you have a vessel, we do everything for you to ensure you remain in compliance not only with DNREC or the Coast Guard, but we also ensure your Delaware corporation or LLC remains in compliance with the Delaware Secretary of State! You may have recently received an invoice from us that includes these new services. We have opted our vessel owners into our new services for their convenience. We know our vessel clients have better things to do than to dig up the paperwork on their vessel and ensure it’s renewed in a timely fashion. 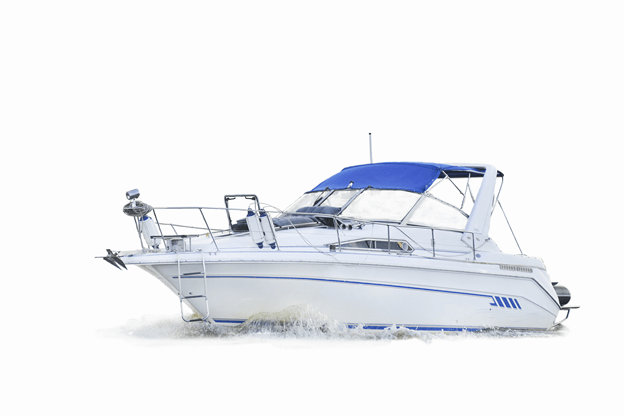 In addition, if you have a company in Delaware that is the owner of the boat, there are state requirements to be met as well to ensure the company stays compliant and in Good Standing with Delaware. Incserv takes all the hassle of the annual maintenance requirements out of our clients’ hands and puts it directly into ours! If you have a company with us already, you are familiar with this service. If this service is on your invoice, Incserv is serving as the registered agent for your corporation or LLC. We fulfill the jurisdictional requirement by acting as a physical address within the state for the purpose of receiving service of process, and we forward any received government mail or service of process to you. This service is required if we are your registered agent. Our Annual Report Filing Service, called ARFS for short, is our automatic jurisdictional annual report filing or franchise tax paying service. With this service, we monitor your company’s due dates for you and ensure the report is filed or the tax is paid on time, every time – ensuring your company stays in compliance and in good standing. With ARFS, you will never be surprised to find your company is not compliant with the Secretary of State and quickly need to make costly payments to the State in order to return to Good Standing. This service is an optional service. It is also offered in all 50 states, so if you have your company qualified to do business in another state, we can add ARFS to that company as well! Contact us if you are interested in adding this service to another of your entities! If you have a Delaware LLC, there is an annual tax payment due to the State each year on or before June 1st. If you have a Delaware corporation, there is an annual report filing and franchise tax payment due to the State each year on or before March 1st. No matter which you have, we take care of this for you! This service goes hand in hand with ARFS – ARFS is our monitoring to ensure we file or make payment by the due date, and this service is the actual filing or payment to the State. This service is an optional service, but it is required if you also have ARFS on your account. With our Vessel Registration Renewal Service, we handle your boat registration renewals for you! We keep track of your vessel’s filing information including hull length, hull number, vessel owner, and more, and ensure the renewal is filed in a timely fashion. We file with both DNREC and the Coast Guard, so no matter which agency your vessel is registered with, we can handle the paperwork! In addition, if you have other enhanced services on your account such as electronic mail forwarding or virtual office, you will continue to receive those services. Did you not receive an invoice and you’re interested in one or more of the above services? Give us a call at 800-346-4646, send us an email, or chat with us on our website!